Microsoft's top operating system executive today confirmed that the two main Windows 10 update and upgrade "branches" will offer customers multiple "rings," or tempos, that they can select to receive changes quickly or after they've been tested by others. 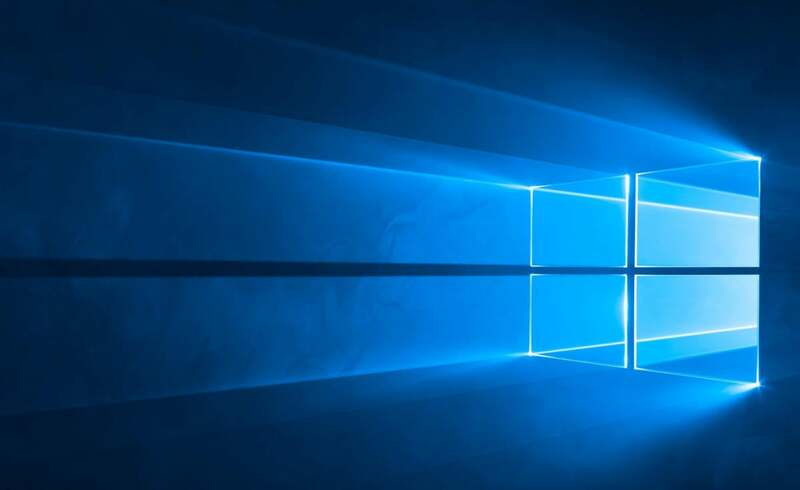 "We won't be updating every Windows consumer device on the second Tuesday of the month," said Terry Myerson, who leads the Windows and Device Group. "We're going to let consumers opt into what we're calling 'rings.' Some consumers just want to go first. And we have consumers that say, 'I'm okay not being first.'" Myerson spoke during the Monday keynote that opened Microsoft's Worldwide Partner Conference (WPC) in Orlando, Fla.
Customers who want to opt in to a "fast" ring on the Current Branch -- the Windows update track geared towards consumers running Windows 10 Home -- will receive updates first, while those who adopt the "slow" ring will get slightly more stable and reliable code later. There may be other rings, but those were the two that Myerson mentioned. The fast-slow ring approach debuted with the Windows Insider Program, the preview and testing deal that kicked off in October 2014. While Myerson had said in May that the Current Branch for Business (CBB), the primary release track for Windows 10 Pro users, and one that Windows 10 Enterprise can also adopt, would feature rings he had not said the same about consumers' CB. Computerworld and some analysts had assumed that the two tracks -- CB and CBB -- would each offer at least two rings when the new OS launched July 29. "Once Windows 10 ships, rings won't determine how many updates you get, but rather your place in the queue to get a new update," explained Steve Kleynhans of Gartner in a recent interview. "As such, rings will be more about controlling the rate at which the updates flood out into market." Windows Insider participants have been placed on the slow ring by default, requiring users to reset an option to get on the faster cadence. It's unknown whether the same slow-is-the-default setting will be used on the final edition's CB and CBB tracks. There are still unanswered questions about Windows 10's update and upgrade pace, including the lag between fast and slow, but Microsoft has slowly been dribbling out details. There will be several tracks, including Insider -- which will continue to serve the adventurous with previews -- Current Branch, Current Branch for Business, and Long-term Service Branch (LTSB), a static channel that delivers only security patches and critical bug fixes. LTSB does not offer the feature and functionality, user interface (UI) and user experience (UX) changes the others will receive three times annually. The plethora of branches and rings, and their staggered releases -- which will result in a 16-month active lifespan for any one build because of delayed deployment options for CBB users -- has raised questions about fragmentation that could affect developers and support teams, or make management more complicated for corporate IT staffs. Analysts, however, have largely discounted such concerns, saying that while Windows 10 will create some fragmentation, ultimately it will create a more uniform ecosystem than the current Windows scene. "For customers and developers, it won't be too different than targeting all the Windows versions and service packs that they have to today," agreed Gary Chen, an analyst at IDC. ""There are really only four rings that matter, [the two each in] CB and CBB, and a business may only be concerned about CBB, so that's effectively two rings to manage, not a big change from what they support today." Myerson also reiterated the strategy of Windows 10, which Microsoft has characterized as "Windows as a service," by emphasizing the continual updates and upgrades that will reach customers. "We're committed to continuous upgrades of [the] Windows device base," he said. While Myerson also used the phrase the supported lifetime of the device today in talking about updates, he did not define it. That phrase has been dissected since its first use in January because it will restrict the time that free updates and upgrades will be offered to Windows 10. Late last month, the Redmond, Wash. company said that device lives would range from two to four years. In that disclosure -- a footnote on a presentation outlining how Microsoft will defer some revenue from Windows 10 -- Microsoft said the device lifetime would be calculated on "customer type," hinting that it would separate consumer and business device owners, probably by sniffing out the edition of Windows 10 running on the device. What still remains unclear is which devices will receive feature/functionality and UI/UX updates and upgrades for the minimum of two years, which get the maximum of four, and which are part of an in-between span.